Monotype hand-pulled by the artist. 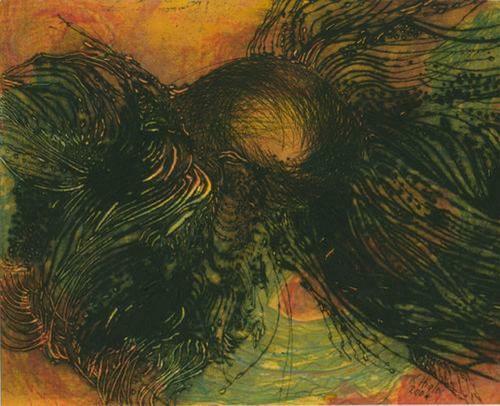 The substrate is a drypoint with color added in other layers. This print was shown at the Washington Printmakers National Juried Show, "Small Works." It was also shown at the Delta National Small Prints Exhibition.